While in Sri Lanka this past August, I got an in-depth look at tea production throughout the country and happened upon some fantastic handmade teas. 95% of tea produced in Sri Lanka is Orthodox Black tea made by machine, but there is a growing number of artisan specialty tea producers in the country. If this artisan production is met with overseas demand, it’s a sector of the Sri Lankan Tea industry that is sure to grow. In this article, I’ll share with you my experiences sampling a selection of teas from Lumbini Tea Valley and Glenwood Reserve. Chaminda Jayawardana, longtime attendee and exhibitor at the World Tea Expo that takes place in the United States each year produces a number of artisan specialty teas under the brand name Dalu which is part of his Lumbini Tea Valley company. The teas are grown in Lumbini Valley which borders the Shinharaja rainforest in Southern Sri Lanka. The Dalu collection includes a series of “hand spun” teas, mostly black, that are meticulously hand-rolled into beautiful shapes as well as some of the more typical artisan Sri Lankan teas– Silver Tips and Golden Tips. This black tea is hand-rolled into little donut shapes. The majority of the black hand-spun teas from Lumbini’s Dalu collection had similar tastes, but were formed into a variety of novelty shapes. This tea had a faint smoke aroma with a smooth malty vanilla finish. These tiny torch-shaped formations are made up from large tea leaves that have been twisted and tied into a knot at one end by hand and processed into black tea. This tea had a faint smoke aroma with a smooth malty vanilla finish. Manjary is perhaps the most beautiful of the Dalu Hand Spun tea collection, these rose-shaped black tea florets are made from hand twisted black tea leaves made to resemble a flower bud. This tea had a faint smoke aroma with a smooth bright malty vanilla finish. This pagoda style black tea is similar to a style of black tea produced in China, but was produced in Sri Lanka by Lumbini Tea Valley for their Dalu collection. This tea had a faint smoke aroma with a smooth malty vanilla finish. It is made up of so many leaves, that it can be steeped many many times in a small vessel. This is the green tea version of the Jayachakra Hand Spun Black rings. The green tea leaves were hand rolled into ring shapes and when steeped produce an herbaceous liquor with notes of green apple and honey. This beautiful Silver Needle White tea is reminiscent of the Chinese variant produced in Fujian Province. It has a sweet vanilla finish and is arguably one of the most well-known and wide-spread artisan teas in Sri Lanka with a number of tea gardens producing this tea from the slightly purple-leafed 2043 Cultivar. Be sure to see the video that I shot below that shows a worker at Lumbini plucking the bud from a large pile of plucked tea leaves one by one. It certainly shows why this tea is so expensive regardless of origin. Glenwood Reserve (website coming soon) is a passion project started by brothers Chetha and Geesa Sandeera who have a background promoting Chinese artisan teas. 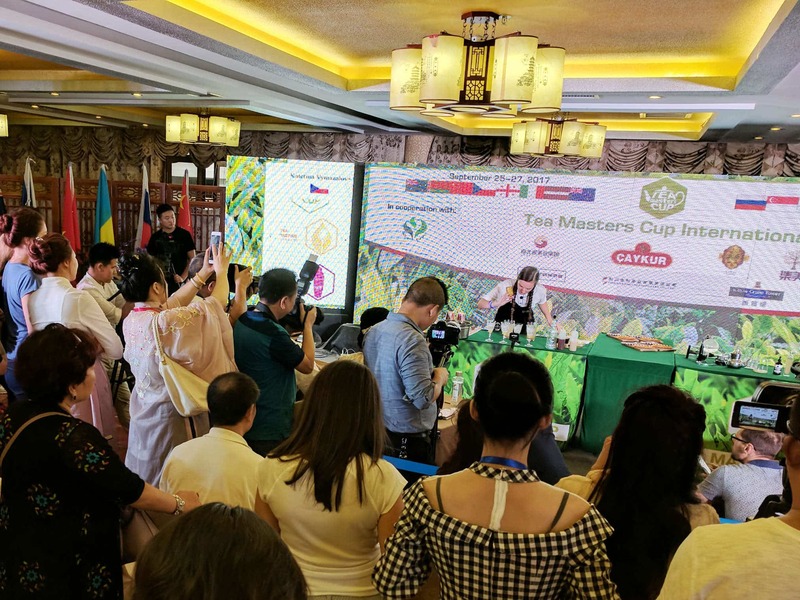 Thus, is it no surprise that this passion project of theirs involves producing Chinese style teas in Sri Lanka using old sinensis bushes planted in Loolecondera, the country’s first commercial tea plantation. Their factory is located in Rikillagaskada and production there is done entirely by hand. Glenwood produces some of the highest quality teas I’ve tasted from Sri Lanka. These hand rolled oolong balls are made up of many tea leaves, they were about 8 grams each and can withstand many infusions depending on concentration. The raw material used is beautiful as you can see the leaves are several shades of green. The resulting infusion was sweet and slightly smoky with a slight mineral aftertaste. This Sri Lankan version of Sheng Puer was delicious. If I wasn’t told it was from Sri Lanka, I may not have known. It was slightly bitter with Sheng’s characteristic notes of hay and a little stonefruit sweetness on the finish. I’d love to see some Sri Lankan bings! This is one of the best black teas that I’ve had from Sri Lanka. It was made with a cultivar called 2043 which is a slightly purple-leafed cultivar typically reserved for Silver Needle White Tea production. This black tea was reminiscent of a Keemun with a leathery, earthy sweet finish. This is Glenwood’s homage to Zhang Ping Shui Xian. It wasn’t as tightly compressed as the real thing, as they likely lack the proper equipment. It also tasted more like a several year old sheng puer than an oolong, but was smooth, minerally (wet stone), and smoky. Though I did not have the pleasure of visiting their estate or trying their teas, Great Western Estate which is part of the Talawakelle Tea Estate Group produces a number of Artisan Specialty teas such as a pressed tea coin, a black tea made up of mostly buds called “Curl Tips” and hand-rolled black tea balls called “Golden Dragon.” I also stumbled upon a good looking (but not tasting) Bai Mu Dan style white tea in a tea shop which was produced by Mounta Tea Company in Sri Lanka, see photo below.